We were getting "itchy" to get out and see spring, so we made a late afternoon run over to Tyler State Park to see how things were progressing. 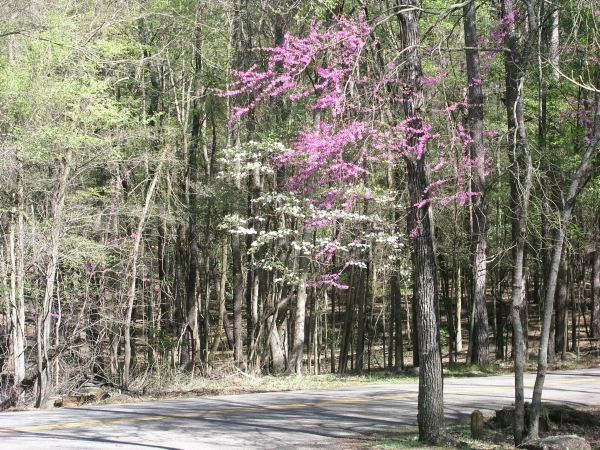 Redbud and Dogwood trees are already in full bloom in the park, which means the city must be even further along. 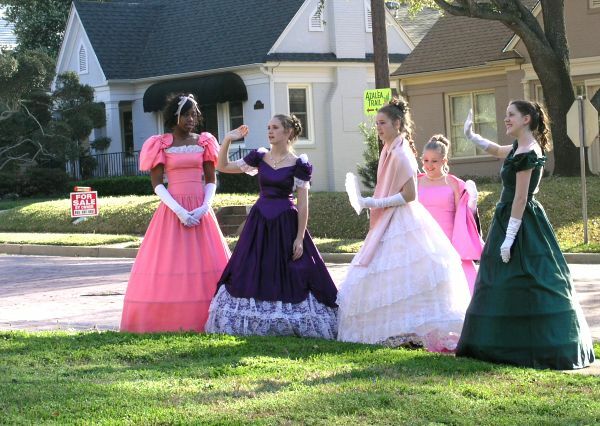 In the city, the Tyler belles were out in force and costume to welcome visitors to Azalea trails. 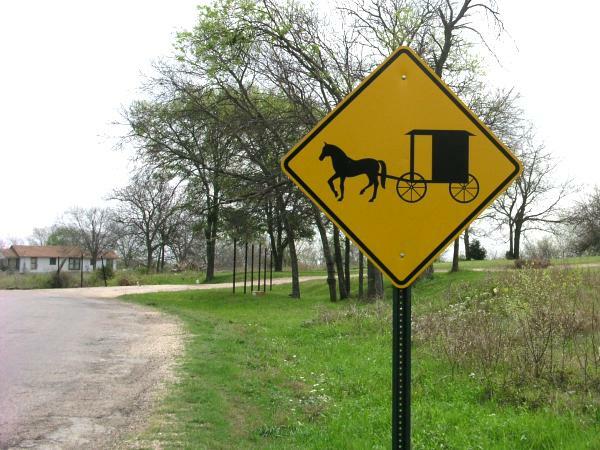 We convinced the Wallners to join us in a circuit of the country side. Things are a lot less hectic out there! 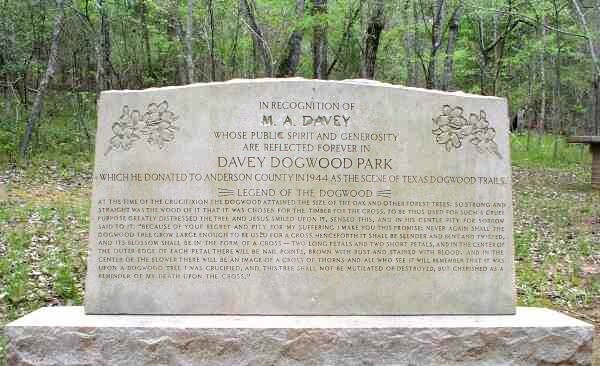 After a quick swing through the Ennis area, next stop was Davey Dogwood Park in Rusk. The dogwood blooms were mostly gone down this far south, so I took a picture of the memorial stone.